This quick and easy dinner uses two shortcuts. 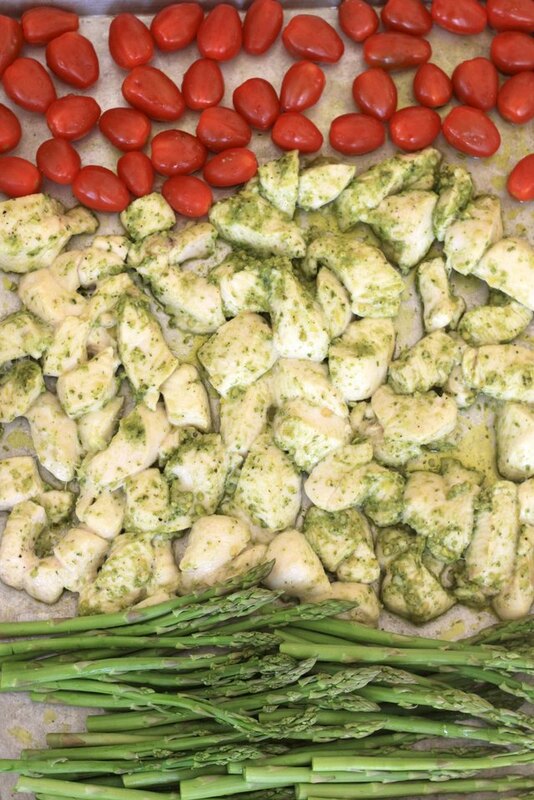 First we slathered all the ingredients with pre-made fresh pesto, bursting with built-in flavor. Then we roasted everything on one sheet pan for easy cleanup. If you can cut up a couple of chicken breasts and throw them on a pan, you can have a fresh, wholesome dinner in about 35 minutes flat. 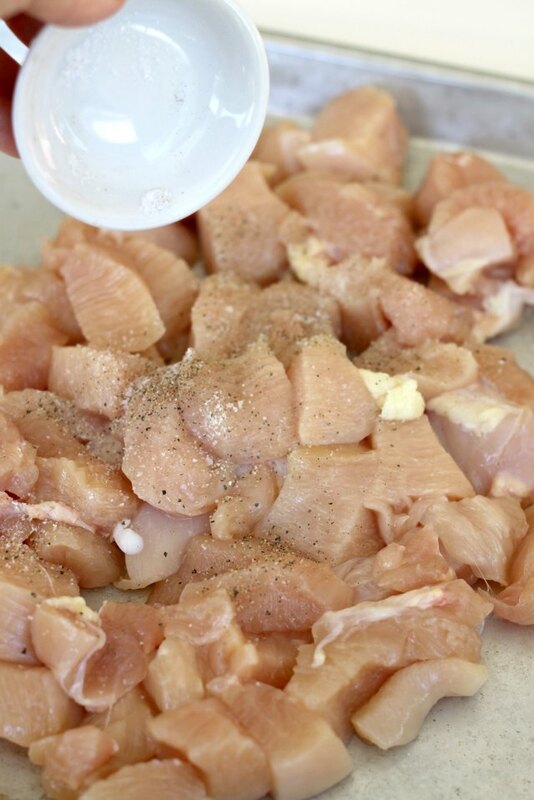 Cut chicken into bite-sized pieces, then arrange on sheet pan before seasoning with salt and pepper. Slather with pesto, then roast for 10 minutes at 400 degrees Fahrenheit. While the chicken cooks, prep the vegetables. First hold one spear of asparagus in each hand, bending until it snaps naturally. This tells you where the ends of the asparagus will be too tough to eat and need to be trimmed. 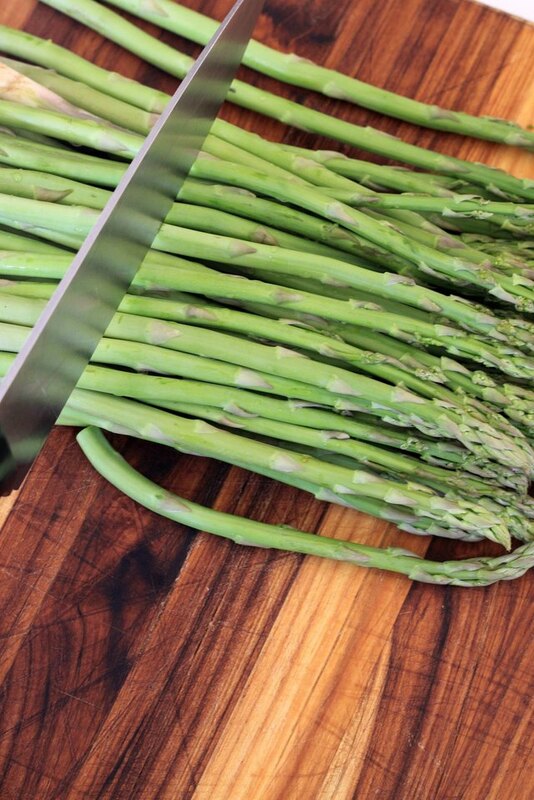 Line up the rest of your asparagus and make one easy slice in the same place. 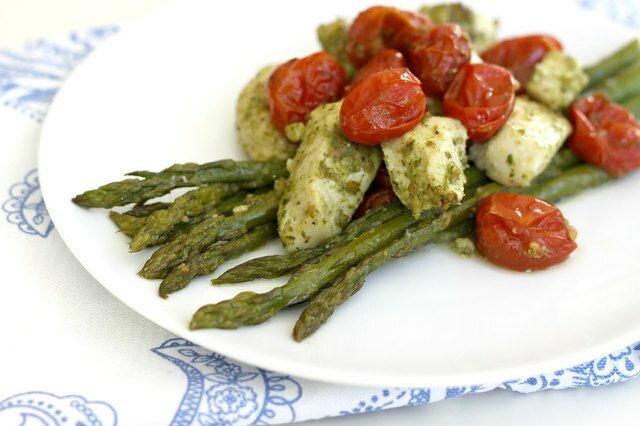 After 10 minutes in the oven, remove the chicken and add your asparagus and tomatoes to the same pan. 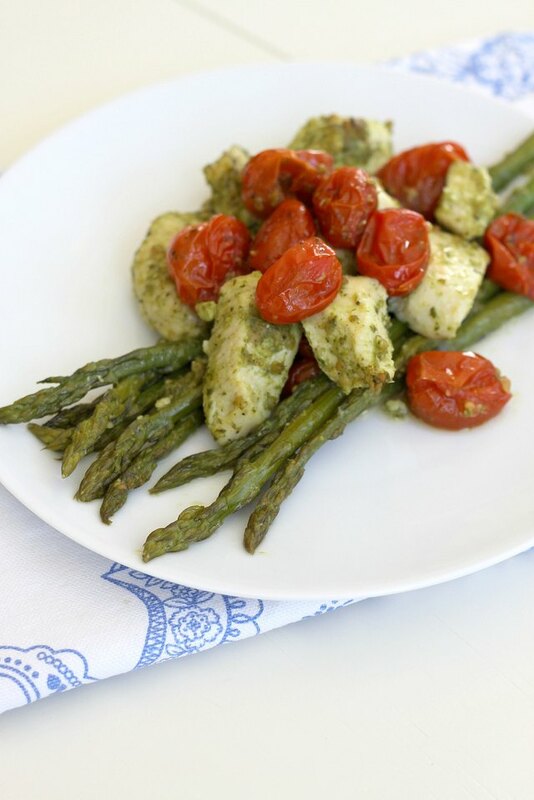 Use your hands to rub the remaining pesto onto the asparagus and tomatoes, then cook for an additional 20 minutes.